2013: With the website ready and at the beginning of her campaign this customer requested a fitting, special edition of a newsletter, which she can circulate just once. 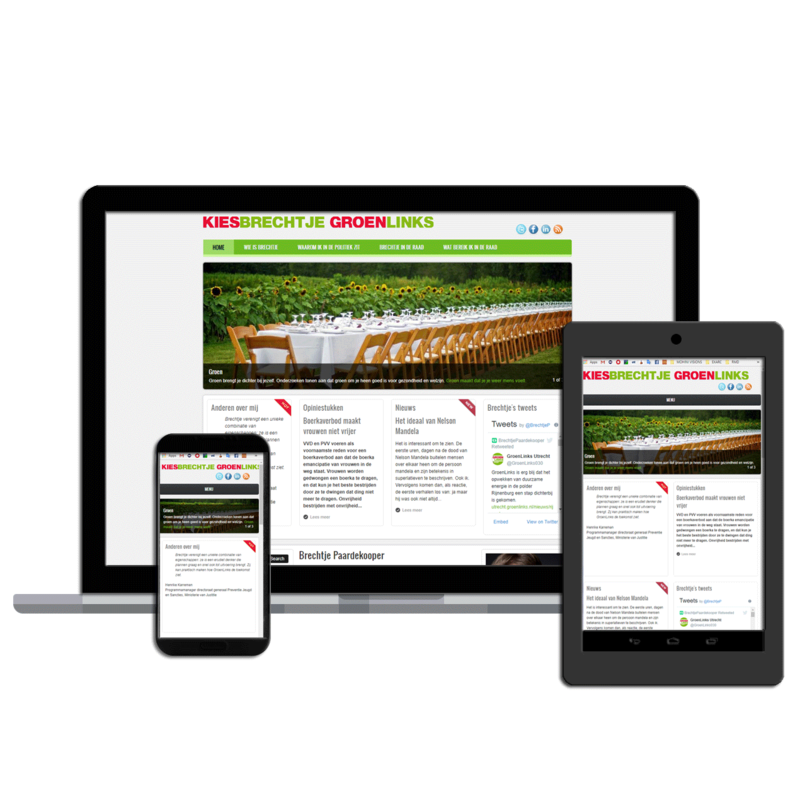 The website itself has the option of sending newsletters but those are much more simple. The customer hopes that with this well designed newsletter she will get more attention. It is made in the colours and the style of the website. At different moments, there are links back to the website content. 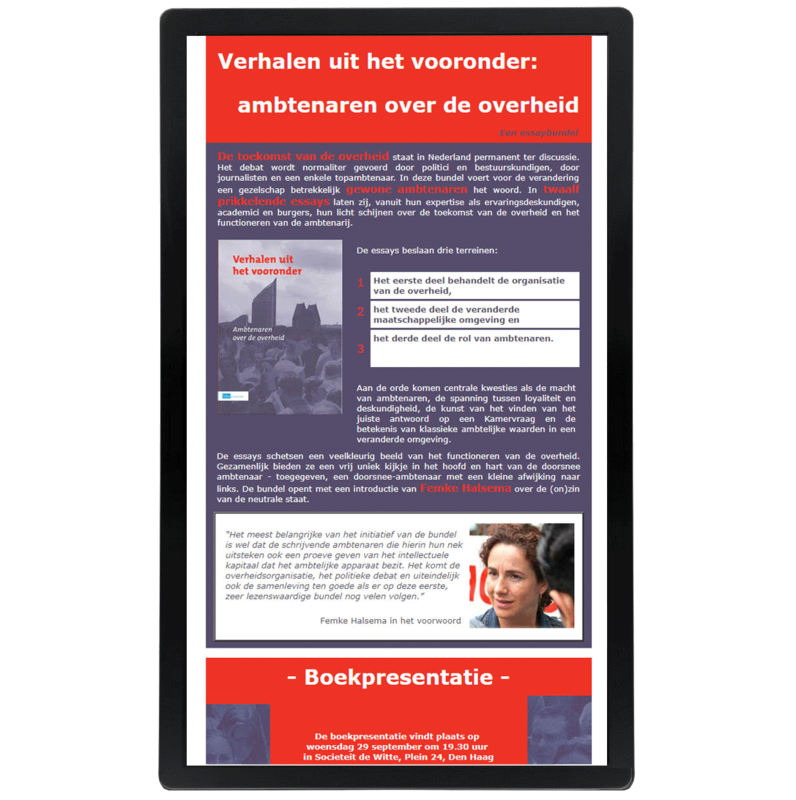 Besides that, it has a nice picture of the city of Utrecht as well as links in the header, the text and the footer. We have also included a button, which links directly to a page where people can leave their vote. That makes it easier to actually go and vote. 2011: For the Groen Links (Green Left) convention, a lot of work was done to create a good image. This because the customer wanted to be elected on the sixth position of the Senate for her party - Groen Links. Different formats and sizes of the flyer were discussed (with several custom fit examples at hand). At the end, a choice was made for A5 (half letter size). Besides a flyer, also a small movie was made by Jan Stap) which was distributed through various online channels. For the film, we designed screens that looked like the flyer in order to create a bit of uniformity. The flyer was printed 4/4 in a circulation of 1,000 pieces at 250 grams wood free satined mc paper. 2010: We were asked to develop two kinds of banners for different websites. 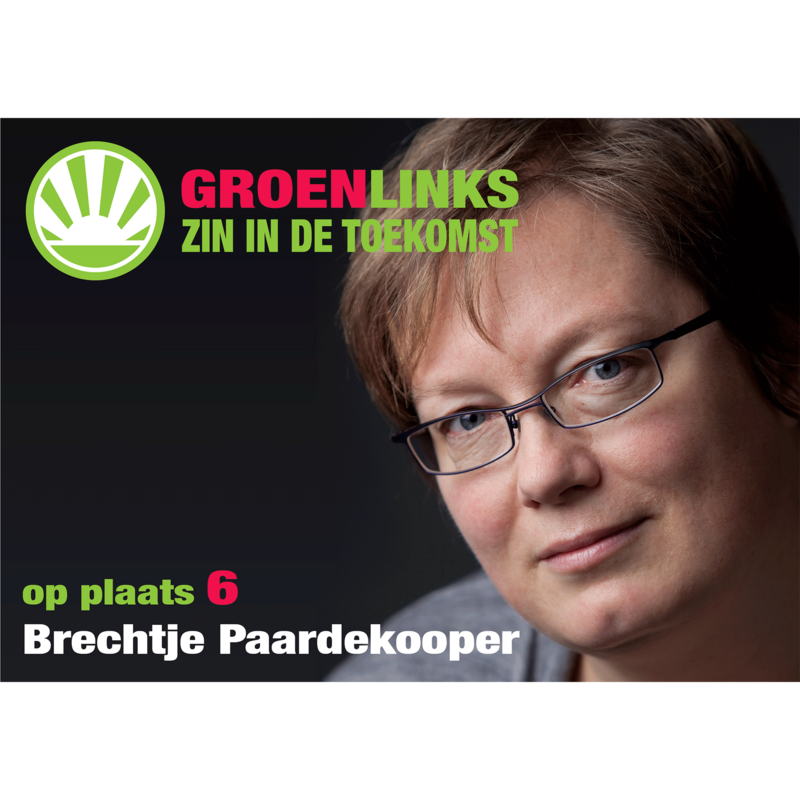 They were meant to advertise Groen Links (a political party) in the upcoming municipal elections. For starters, we made a general banner, 120 x 100 px. The other banner measured 468 x 60 px and exists in 5 different versions. Both were made in Flash. 2004: Digital Newsletter "Invite for book presentation" This is an invitation for the presentation of a series of essays in a book, “Stories from just below deck, civil servants about the government”. It was published by SDU and written following an initiative of the Green Left network of civil servants. The presentation was held on 29 September 2004 at Society “de Witte” in The Hague. On that occasion, Femke Halsema debated with Paul Cliteur about amongst others the freedom of speech of civil servants. 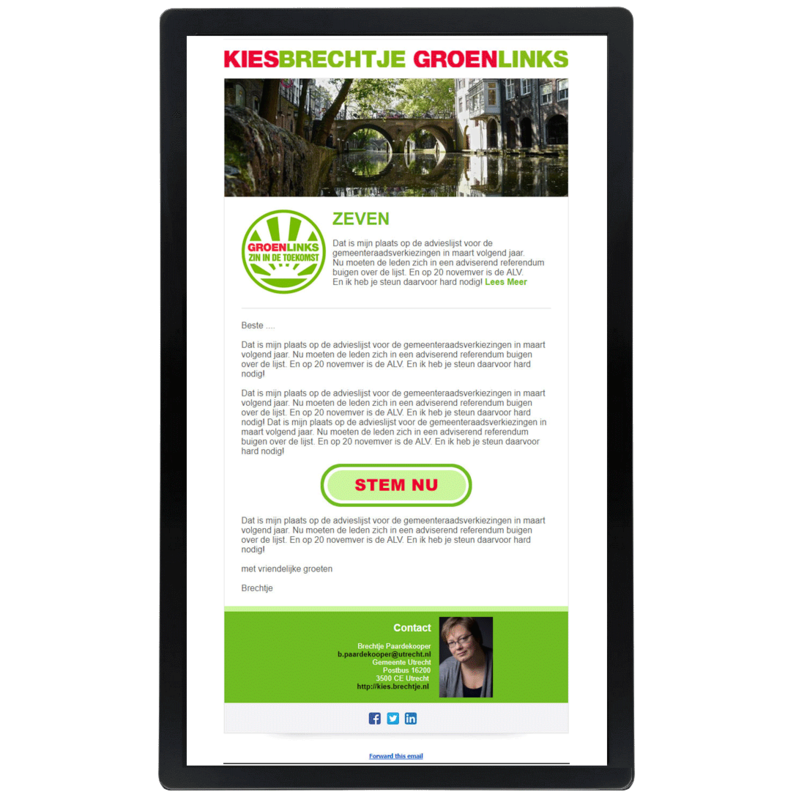 2003: Digital Newsletter "Promoting Green Left (political party)" A onetime only newsletter, just before parliament elections with an appeal to vote for Green Left. To the call of the party leader, a personal note was added by the one commissioning this newsletter. The newsletter was designed as such to be able to be forwarded to colleagues and friends without losing its design.